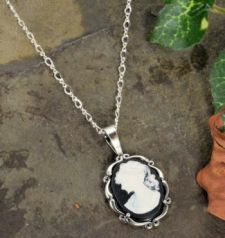 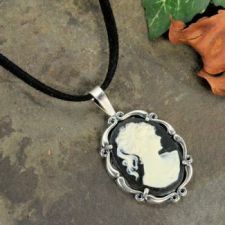 Description: Reminiscent of the late Victorian era designs is a classic Victorian style white and black poly resin portrait cameo in a scrolling vintage designed sterling silver frame. 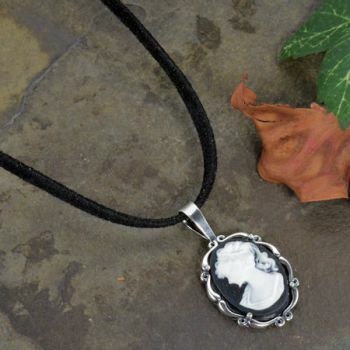 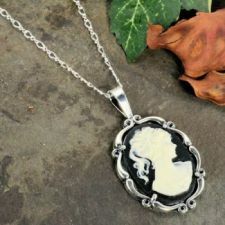 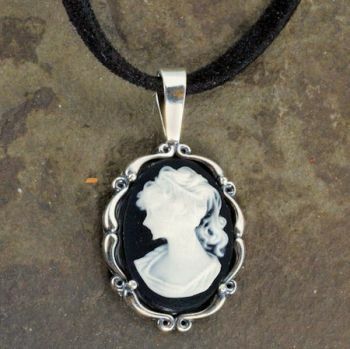 Containing an 18x13mm white and black cameo portrait of a Victorian lady with flowing hair. 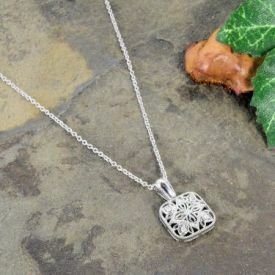 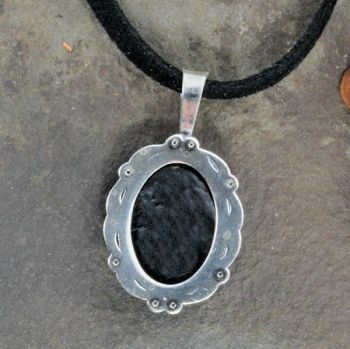 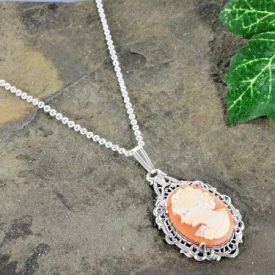 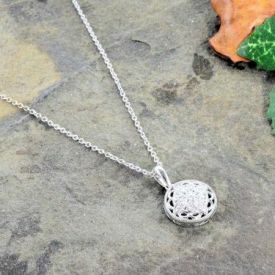 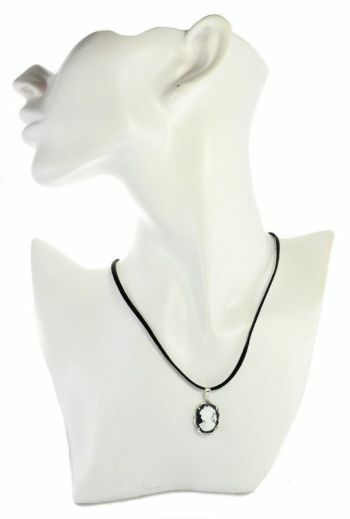 Mounted in a cast sterling silver scrolled frame on a sturdy 3.0mm wide vintage style black suede cord that adjusts from 16" to 18" with a 2" sterling silver extender chain and clasp. 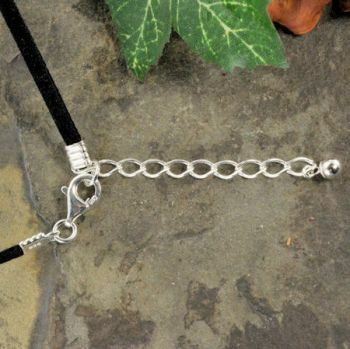 Measurement: The frame measures 1 1/4" in length including bail by 5/8" wide on a 3.0mm wide black suede cord that adjusts from 16" to 18" with a 2" sterling silver extender chain and clasp. 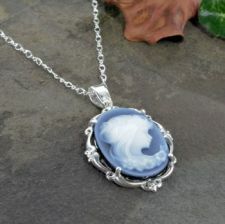 Shipping: Expect a 1 to 3 day turn around time to manufacture.